Grizzly H5687 - 8 pc. 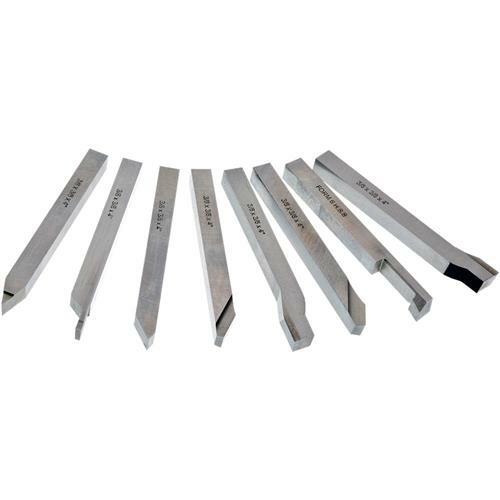 Ground HSS Tool Bit Set 3/8"
Tired of grinding your blank high speed steel tool bits? We've done it for you! This 8-pc set comes with these sharpened profiles: offset right and left hand tools with chip breaker, straight and ship breaker style treading tools, internal threading tool, parting tool, boring tool and turning tool. Evenly hardened better than 64C. There's nothing quite like these on the market today. I am a new user of metal lathes so I will say from what limited knowledge I have as a beginner machinist. These tools are made with details that require more than the typical tools available. I would not hesitate to buy more in the future. Too bad they do not come with instructions for people like me that are basic beginners and looking for help about how to use the tools. This is a good product and worth the money spent. OK, these guys are the best... best item I purchase bar none. Cutting edge is great & the line up on center is a dream. WoW is my word for these tools. Can't say enough good things about them. BUY THem NoW for your lathe. Work great. 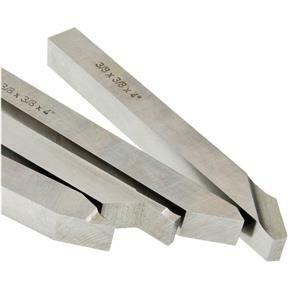 These tools hold an edge, very solid and are perfect in my quick change tool post. No shimming required in my 9x20 lathe so these are the size to get for the qctp. 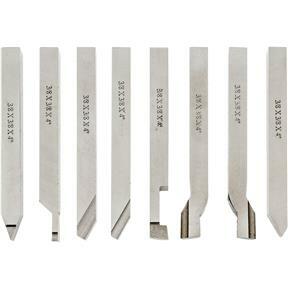 Don't agree with the advertised description of all the different cutters, however, but they can be reground.